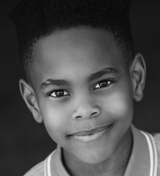 WALTER RUSSELL III (Young Simba alt.) 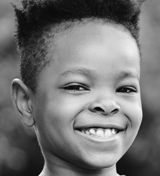 Walter was seen bringing his Harlem swag to Nickelodeon’s “Lip Sync Battle Shorties” and Everytown for Gun Safety’s video “Enough!” featuring the music of Sia and his NDI peers. Thank you to his PUSH Dance Company, DST, Agape all friends and family, GiGi, Tia and Mom for a ton of support! IG @WR3HRLM. 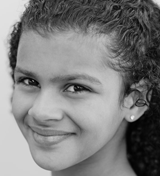 CELINA SMITH (Young Nala alt.) 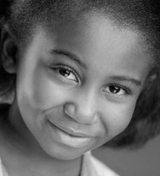 Celina is a 9-year-old honor student from Atlanta and loves entertaining. She is overjoyed about joining The Lion King cast. Celina’s recent achievements include professional voice-over work and outstanding showcases with AGI Entertainment. Celina is thankful for her family and Natarsha Garcia for their support. Follow her on Instagram @littlecelinasmith. Durham Season Announced, and Lots of Pictures! The 2015-2016 season at North Carolina's Durham Performing Arts Center was announced recently! It will include: Beautiful - The Carole King Musical, A Gentleman's Guide to Love and Murder, The Illusionists - Witness The Impossible, The Sound of Music, The Book of Mormon, Matilda, The Lion King, Cabaret, 42nd Street, and If/Then. Get more information at DPACNC.com! And here are pictures from the kids of Pippin, Annie, and Newsies!